A native of Southampton, Solent Orchestra Conductor Simon Wilkins studied violoncello with Michael Mace and pianoforte with John Talbot. He studied Music at Royal Holloway, University of London at both undergraduate postgraduate level and continued his instrumental studies under Ben Davies, where he also received tuition in conducting from Levon Parikian. Recent highlights include solo appearances playing Haydn’s C major ‘cello concerto with the Wigston Civic Orchestra (Leicester) and Tchaikovsky’s Variations on a Rococo Theme with Winchester Chamber Orchestra. He has also performed in notable venues worldwide including the Royal Albert Hall, Birmingham Symphony Hall, Hong Kong City Hall, Pisa Duomo and the Liszt Academy, Budapest, and worked with soloists including Michael Collins, James Bowman, Nicola Benedetti, Guy Johnston, Felicity Lott and Alexander Sitkovetsky. Simon conducts Chichester Symphony Orchestra and works as an instrumental teacher of both cello and piano, teaching music technology and other keyboard accompanying work, composing and arranging. 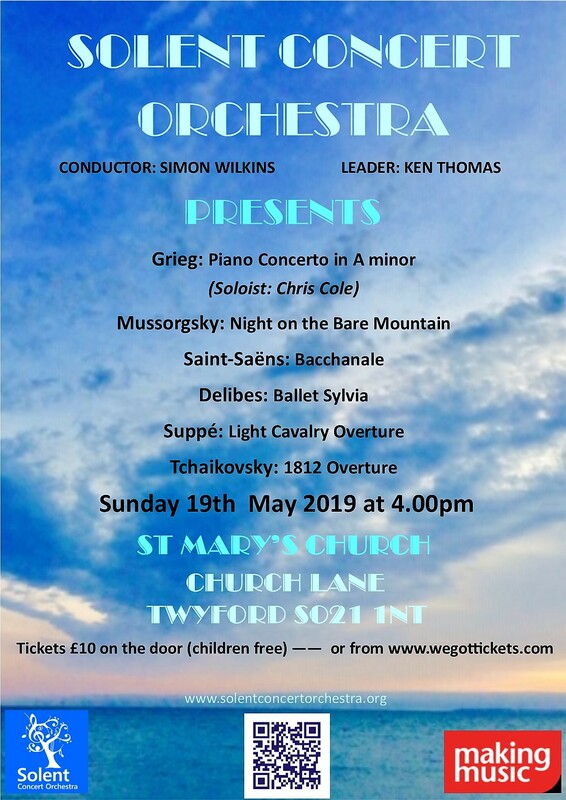 Simon plays with the City of Southampton Orchestra and Winchester Symphony Orchestra as well as other ensembles and participates in chamber music forming one-third of the Lovisa Piano Trio. During his time as a student, Simon also studied composition under Larry Goves, Mark Bowden and Helen Grime and this grew to be an important part of his studies. Whilst a student, he had chamber works performed by CHROMA and The Contemporary Consort as well as by the university orchestra. In 2011 his orchestral work The Sun Rising won 2nd prize in the University of St Andrews’ “Prelude to the 600th anniversary” composition competition and was performed under the baton of Thomas Butler to an audience and panel including renowned composer Sally Beamish. Recent composition projects include a setting of Regina coeli commissioned by Andover Choral Society, which had its première in December 2012 as well as an arrangement of The First Nowell for the choir; the orchestral fanfare …And arts unknown before; Tierra del Fuego, a symphonic Latin work of which he will conduct the première this summer, and a work for string octet for the Grittleton Chamber Music summer course. For the orchestra anniversary in 2015 Simon wrote a piece that was called Symphony: ‘Three Places. When not engaged in musical activities, Simon enjoys curry, real ale, hiking unreasonably long distances across southern England, and Scandinavian crime dramas. He also is trying to fulfil a lifelong ambition of learning the viola.